It is clear that both concepts, ecological connectivity and green infrastructure, are as important and necessary to be developed further and implemented. Both should be properly included in spatial planning processes on local, national and macro-regional level. It should be more clear who is responsible for running the planning process on different levels. Although scientific knowledge can still be improved, there is a sufficient knowledge to take action. A cross sectoral communication is needed for better understanding among spatial planners and other experts (e.g. biologists). There is a need to develop a map of priority areas. Participants were highly supporting the idea of preparing a follow-up of the workshop on both concepts and recommend that the possibility of financing through programs that support EUSALP actions should be explored. The workshop is a good example of expert cooperation while necessary political support would be given by adopting Declaration on Alpine green infrastructure at the Ministerial Conference in Munich (October 2, 2017). 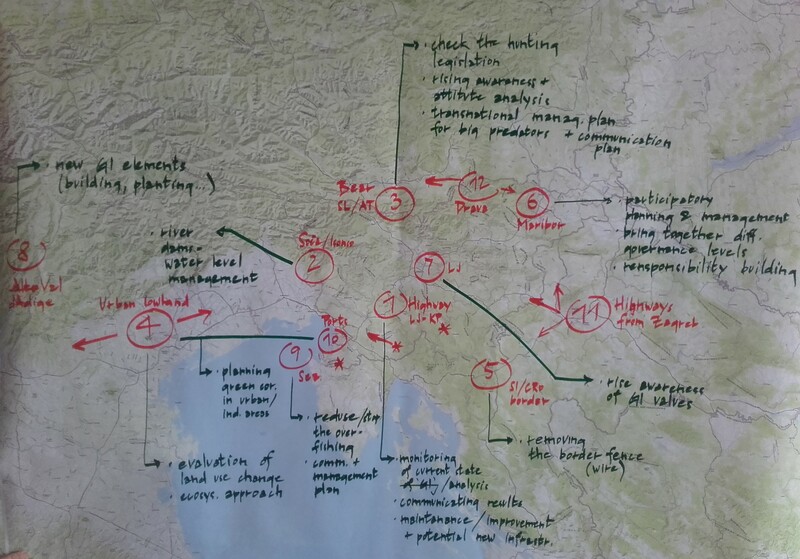 Working model might be also implemented in other parts of EUSALP.